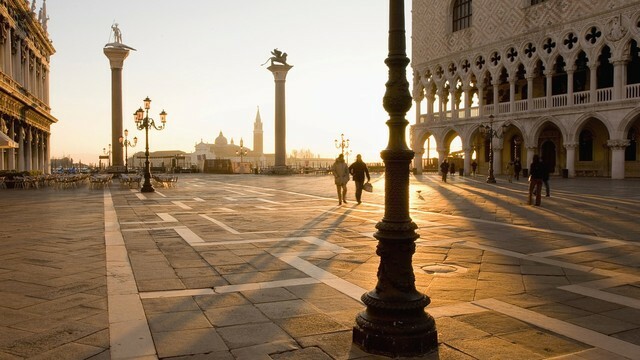 Piazza San Marco, known as the “Square” or “the drawing room of Europe”, is one of the most important Italian cities, renowned worldwide for its beauty and architectural integrity, and the largest square in Venice. The Rialto Bridge is one of the four bridges, along with the Accademia bridge, the Scalzi bridge and the bridge of the Constitution, which cross the Grand Canal in Venice. 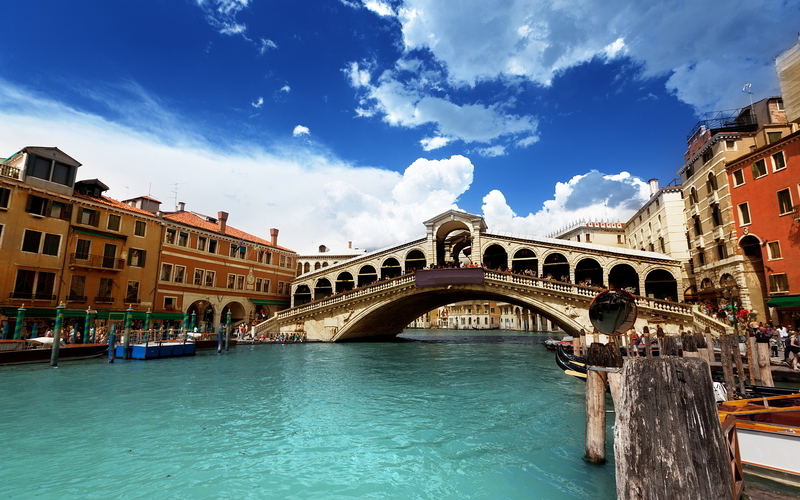 Of the four, the Rialto Bridge is the oldest and certainly the most famous. 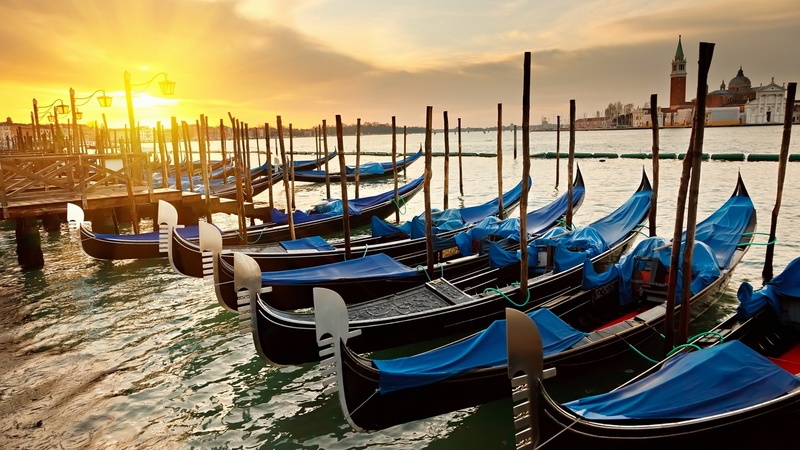 The gondola is a boat typical of the Venice lagoon. Due to its characteristics of maneuverability and speed was, until the advent of motorized vehicles, the Venetian boat more suited to the transport of people in a city like Venice, whose water ways have always been the most used for transports.